Bird's eye on Reykjavik. Photo by Lindsay Cotter. Gunnar Freyr, also known as The Icelandic Explorer, is a former corporate financial analyst turned entrepreneur and photographer. His work has appeared in CN Traveller and National Geographic, and he keeps a regular travel schedule with adventurous itineraries. But when he’s not off shooting in exciting locales, Freyr is deeply invested in the local creative community in Reykjavik. Sensing a need for this community to converge, Freyr founded The Space, a hybrid coffeehouse and professional workspace in Reykjavik to support the burgeoning community of young creatives coming out of the region. “Life isn’t so serious in Iceland which is quite liberating when you’re working as a creative in Iceland,” he says, noting that the geography, nature, and weather also play a huge inspirational role in his work as a landscape photographer. It seems that what makes Reykjavik such a great place to create art also makes it a great place to visit. 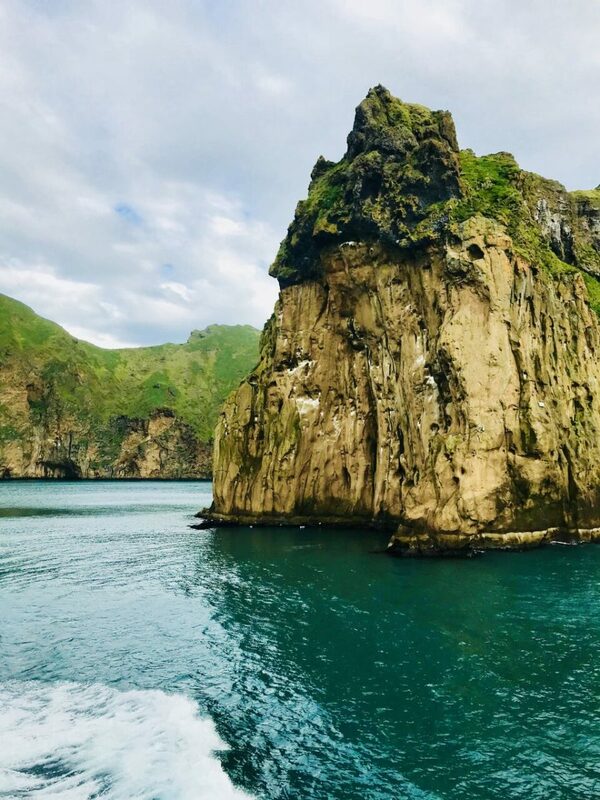 And while your Instagram feed may have been oversaturated with pics from the Blue Lagoon by friends and acquaintances, we were lucky enough to get some more under-the-radar intel from a local like Freyr. 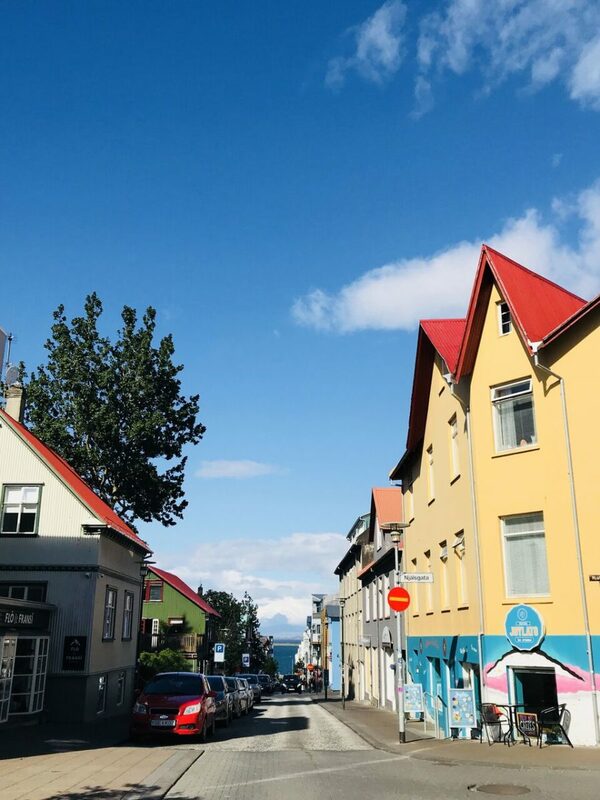 See below for his favorite things about Iceland and its capital city, from where to see a good sunrise to who makes the best Icelandic cuisine. 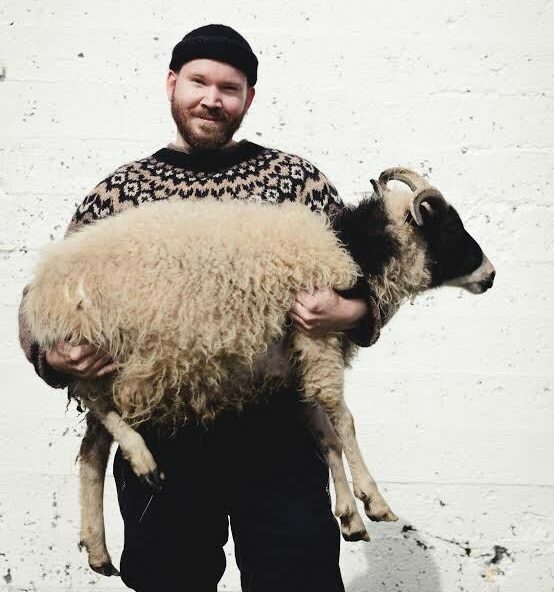 Gunnar Freyr, dabbling in sheep-herding. 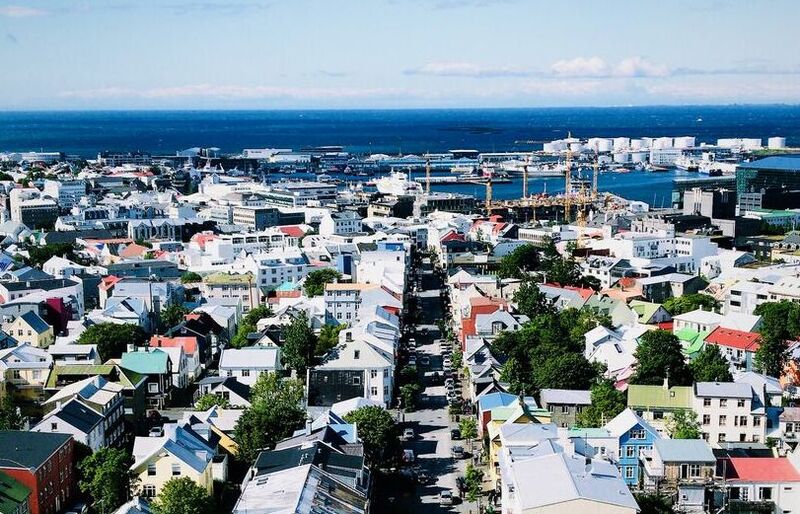 Reykjavik has become a huge travel destination in recent years. How have you seen the city change as a result? Yes very much. Both for better and for worse. Many new hotels have been popping up, every second apartment is an AirBnB and the city is generally filled with tourists. Some old institutions and classics have closed to give way for puffin stores and hotels. But there are also a lot of great aspects, for example the Reykjavik’s culinary scene (and Iceland’s as a whole) has improved dramatically, for example with the arrival of Dill and others. What other restaurants are local favourites? One of the best places to eat is actually not one place, but a cluster of places. There are now two food halls in the city, Hlemmur Mathöll and Grandi Mathðll, which both have amazing food. Also, casual dining at KEX or a more fancy dinner at Apotek is amazing. When people travel to Reykjavik, where should they stay? There are quite a few nice hotels in the city, including Hilton Konsulat Hotel, Ion City, Sand Hotel and Alda. However my personal favorite would probably be to get a private room at KEX Hostel. It’s got a style and vibe very similar with The Space. The streets of Reykjavik. Photo by Lindsay Cotter. When the weather gets too cold to bear, what are the best places in the city to warm up? The Space, of course! Also KEX, Reykjavik Roasters, Kaffihús Vesturbæjar. Where should I go for a great night out in Reykjavik? I have to admit that I’m more of a beer person, so for that, there are a few more casual craft bars: Mikkeller and Friends, Skuli Craft Bar and KEX. For more party mood, consider Kaffibarinn or Kaldi Bar. What Icelandic dishes do visitors have to try in Reykjavik, and where should they try them? Most people who come to Iceland want to try the Bæjarinns Bestu hot dog, but in my opinion, it’s more of touristy thing than actual culinary experience. What most visitors don’t know is that the same place has around seven other hot dog stands around Reykjavik, but only one of them is really famous—mostly because Bill Clinton ate there in the 90’s. There are now some really amazing bakeries in Reykjavik, such as Brauð & co, Deig and Sandholt. The cinnamon roll at Brauð & Co. is pretty legendary. I recommend that people to eat as much fish and lamb as possible—this is really what Iceland does the best. There are very many different dishes and variations. Of course, if you’re feeling adventurous, you can try things like the fermented shark, but I would definitely recommend some Brennivin to kill the taste. Lastly, a must-try dish in Iceland is the Icelandic Skyr. It’s a special Icelandic yoghurt (technically a fresh cheese) but it most closely resembles greek yoghurt. It’s very high in protein and low in fat and sugar. Skyr is as Icelandic as it gets. Definitely worth trying the very traditional way of consuming skyr, with cream, sugar and fresh Icelandic blueberries (called Bilberries). If you don’t want to wait until you get to Iceland to try skyr, then you can actually try the Blueberry & Bilberry skyr from Icelandic Provisions in the U.S. which is some of the best skyr I’ve tried. Creatives find inspiration in Iceland's natural geography. Photo by Lindsay Cotter. Where should I go to see incredible wildlife? Westfjords. Particularly to Hornstrandir. It’s a remove nature reserve in the Westfjords where there are thousands of arctic foxes, incredible birdlife and untouched nature. You can only access them by boat and I have often seen whales when trebling around the Westfjords. If you had to pick the best views in all of Iceland, where would they be? The Highlands easily have the best views. It’s a world of its own and offers views unlike anything you have ever seen. If you can afford it, then doing a helicopter trip over the highlands is a life changing experience. What other towns in Iceland should people visit? Ísafjörður is a lovely town in the Westfjords—very remote and cozy. Also Seyðisfjörður in the East of Iceland is pure magic—located in a secluded little fjord. It’s truly stunning. What’s one experience in Iceland that is vastly underrated? 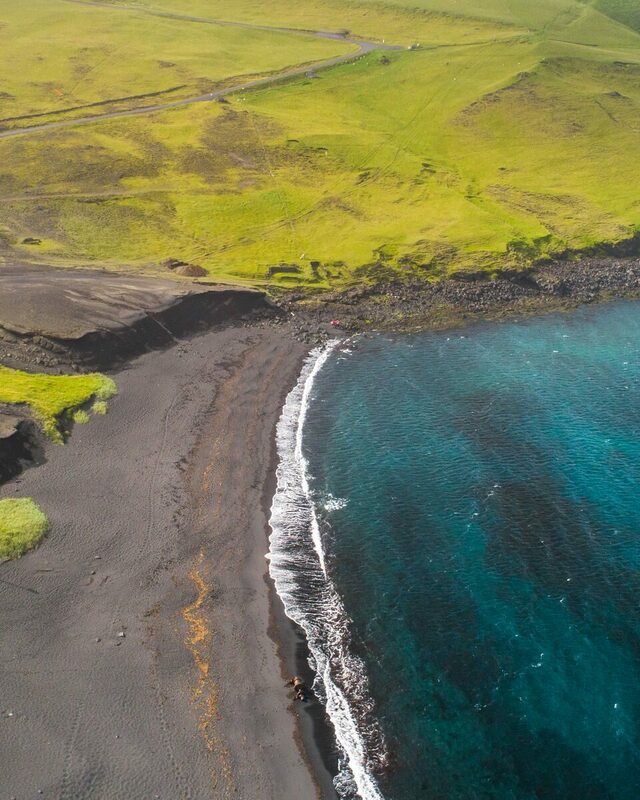 Exploring the Reykjanes Peninsula—most people arrive at the Airport which is on the Reykjanes peninsula and head straight for Reykjavik or the South Coast. The South peninsula has a lot to offer and with way fewer tourists than most other parts of the country. Best place to see a sunrise in Iceland? First of all, the best time to see a sunrise in Iceland is in the winter, because you can sleep until 10AM and still not have to worry about missing the sunrise. In general, seeing the sunrise is so weather dependant that any place you are with clear weather will be a great place. In general though, Stokksnes on the Southeast coast is a pretty cool place for the sunrise. Also consider Dyrholaey on top of the mountain by the lighthouse. Both the sunrise and sunset are great by Dyrholaey. What is one thing about Iceland that you wish more people knew? That you never need to buy bottled water in Iceland. Straight out of the tap, the water is some of the best in the world. You can also drink the water from most of the waterfalls. This is something I have most people try when I am out exploring with visitors or photographing with clients.